I am a born and raised Floridian. I practically came out swimming. and spent the summers in a constant state of wrinkles from overstaying my welcome in the pool. I actually thought I was stronger then the sun. I used baby oil, and I now have the freckles and sunspots to prove it. But God knows what he's doing. He didn't make the mind to stay in teenage land forever. I proudly wear sunscreen now. As summer approaches I must make sure to keep my own tiny safe from the sun. Here are some tips and products we can't live without. A beach hat is a must. it protects my lady from the sun. We happen to love this hat, from Old Navy. A Sun tent is the perfect place to lay while napping, nursing, reading a book, etc. I didn't know what I was missing out on until I recently purchased one. 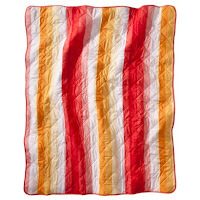 Now it's on my must have summer list of 2012. 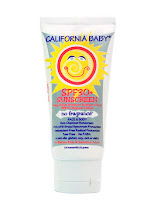 Sunscreen nearly goes without saying. 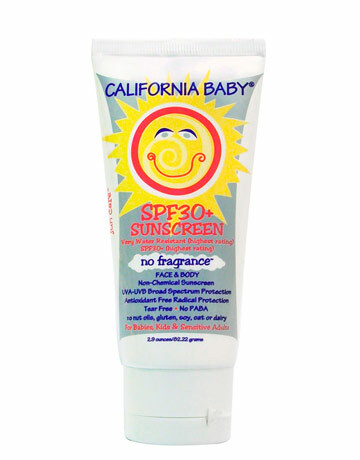 We love this sunscreen by California Baby...truth is we love all things from California baby. but it means bringing twice as much as we used to. This backpack chair is ideal. and would be the perfect chair if it came with an extra pair of hands. This zip and carry picnic blanket from Target is by far the best $19.99 I have spent in awhile. 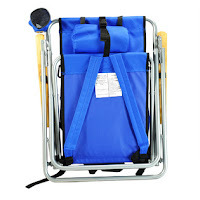 zipped up and has a convenient handle for carrying. And there you go. Our summer must haves for this year. Do you have any you can't live without? something. I think that you could do with some p.c.